In the coming decade there will be an avalanche of initiatives to regulate and monitor the Internet. The freedom, privacy and relative anonymity that people experience today will only be short-lived if the copyright lobby and intelligence agencies have their way. In the U.S. there is CISPA, a bill that would put an end to people’s privacy on the Internet by allowing companies to spy on Internet users. Despite fierce opposition from the online community, the bill was approved by the House of Representatives in April. Another example of increased monitoring in the US is the “six-strikes” anti-piracy agreement, in which alleged ‘pirates’ will be tracked down and punished as part of an agreement ISPs signed with the MPAA and RIAA. In the U.K. there are similar developments. Not only are there plans to monitor and warn file-sharers, a draft of the ‘Communications Data Bill’ that was posted yesterday shows that the U.K. government wants to monitor and store the Internet activity of its citizens. A scary prospect for many, but as always there are plenty of ways to circumvent these spying efforts. Privacy conscious Internet users could simply switch to one of the many VPN providers and bypass all of the above. Since VPN providers in the U.S. and many other countries are not required to log any user information (some do), these users can’t be easily monitored. 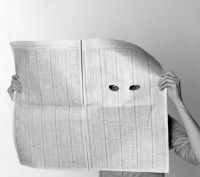 Research has shown that people are increasingly turning to these anonymity services, partly in response to new surveillance initiatives. Millions already hide behind VPNs when they go online and this number will only increase in the coming years. Intelligence agencies and the copyright lobby are not happy with this development, and it would come as no surprise if they began lobbying for a ban on VPN usage. After all, these pesky VPN users are obstructing the law. “If you have nothing to hide, you have nothing to fear,” they’ll say, adding that your car also requires a readable license plate. While a ban on VPNs might sound rigorous, it’s by no means unthinkable. In Iran, where a quarter of all Internet subscribers use VPNs, the government has already announced a crackdown on privacy-enhancing tools that bypass local law. Luckily for privacy advocates, however, not all is lost. The architecture of the Internet is flexible so even in the event VPNs were banned there would still be alternatives to guarantee people’s privacy. But there is little doubt that there will be a huge fight over these issues in the years to come. So for now, enjoy your privacy for as long as it lasts.